For many decades, the Lincoln Town Car was synonymous with American luxury. This handsome vehicle served as a mainstay of the limousine industry, shuttling VIPs, brides, prom partiers and others back and forth in comfort and style. The Lincoln Town Car was also a staple of the luxury car market for everyday drivers, and for years a Town Car in the driveway was a sure signal that the driver had arrived. With such a long history behind the Lincoln Town Car and such a loyal following, it came as a surprise to many when Ford decided to kill this iconic vehicle in August of 2011. The fact that Ford and its Detroit competitors were in trouble was certainly not a secret, of course, and car enthusiasts certainly expected that some changes would be made. It was where and how those changes came about that took so many drivers and business people by surprise. Many people, including those in the limousine and luxury car business, no doubt expected that a car as beloved as the Lincoln Town Car could weather any storm and survive the recession that nearly took out the big three automakers. The fact that those business people and experts were wrong says a lot about the chaos that was the American car market in the midst of what many are already calling the Great Recession. As the market for cars in general and American cars in particular continued to wane, the Ford Motor Company had some vital decisions to make. Unfortunately for lovers of the Lincoln Town Car, one of those decisions was to discontinue this classic model. In the summer of 2011, the last Lincoln Town Car rolled off the assembly line, taking its place in history among other beloved cars no longer on the market. The decision by Ford to discontinue production of the Town Car was a blow to many ordinary drivers, some of whom no doubt planned to get their hands on the 2012 model. But the decision may have had its greatest impact on the limousine industry, where this iconic luxury sedan had become a mainstay. The Lincoln Town Car was a frequent sight in livery fleets, where it was used for everything from shuttling executives to and from the airport to providing a memorable night on the town for tourists and party goers. 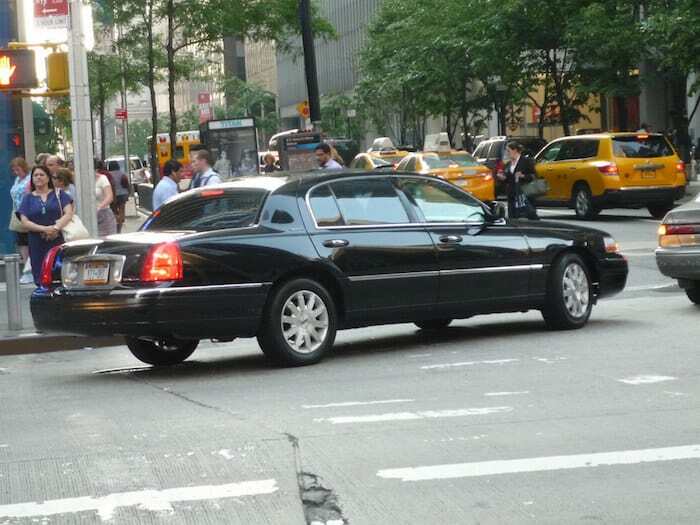 A typical livery fleet might include a number of standard model Lincoln Town Cars, designed for those who need a convenient and comfortable ride. That fleet might also include several Lincoln Town Car stretch limos, designed to seat large groups in comfort and style. The decision by Ford to discontinue this model certainly leaves a hole in the fleets of many limousine companies. When Ford announced the decision to discontinue making the Lincoln Town Car, it did provide a replacement vehicle aimed squarely at the livery market. Ford has decided to replace the limousine version of the classic Lincoln Town Car with a variant of its popular MKT vehicle. Limousine company owners who wish to stay with the Ford brand for their livery fleets can purchase these stretch and super-stretch MKT vehicles, but for many there is still nothing to match the luxury, comfort and classic style of a Lincoln Town Car.